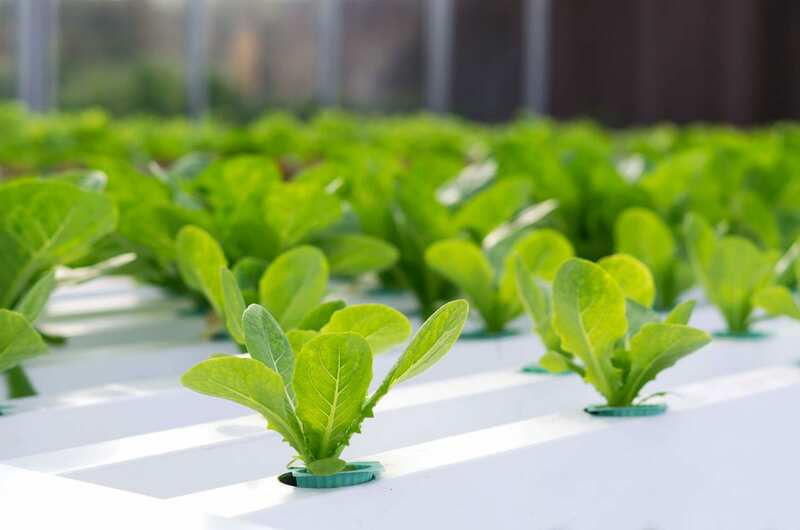 Most water used in hydroponics is purposely sterile in order to prevent pathogens, but the sterility also excludes beneficial microbes. This problem is lessened somewhat when coco or other grow media is used, but even then the solid media, other than soil, does not have a native microbial activity. Beneficial microbial activity in the root zone is helpful in making nutrients absorbable. Plants grown in water need nutrients in a water soluble form – usually this means chemical nutrients. Even with chemical nutes, the grower has to be concerned with carbon to nitrogen ratio, and holding the nutrients in the root zone long enough for uptake. Using organic nutrient forms can be even more challenging in terms of immediate availability to the plant. Selected microbes that convert nutrients into a form plants can more easily use. Kelp, micronutrients and trace minerals vital to optimizing plant growth. Humic acid to encourage vigorous root growth and provide a bio-available carbon source in the root zone. Benefits include accelerated growth, improved plant size and overall plant health.